Bachelor Parties for the most part are all very similar. They all bring together a group of close friends that have shared great experiences with the groom to be. They always start with an event or activity, proceed to a meal, and finally progress to a night of absolute madness. 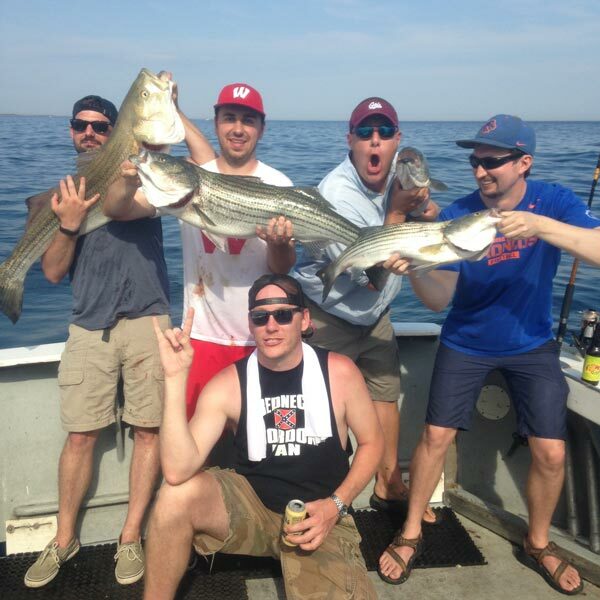 Let us show you why to start your bachelor party with Connemara Bay Fishing Charters. Lets face it, planning a bachelor party is no easy task. This is your boys last day of ripping it up before he is walking down the aisle. The important thing here is to make a few memories during the day with the guys, Let Us Help. 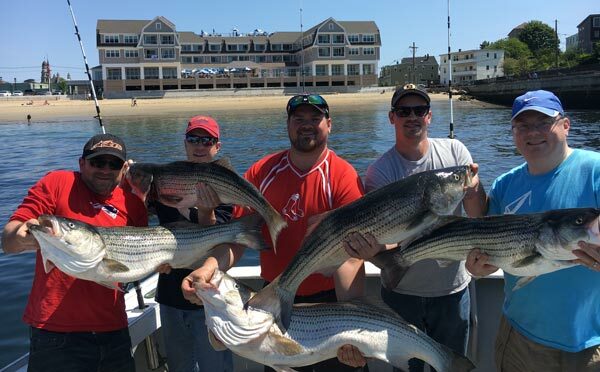 A half day inshore fishing & Lobster combo is the best trip we offer for Bachelor Party’s at Connemara Bay Fishing charters. 1/2 Day assures you wont be run down for the upcoming night! Calm waters guaranteed. Keep the stomachs from churning. Bachelor Parties fishing are always a little more fun when we roast the guy we are celebrating. After we finishing up fishing we take an hour to pull up a trawl of lobster traps. Of course we need a volunteer, so its fitting for the man of the hour to get his hands dirty. Filling up the bait-bags full of dead fish and removing the lobsters without getting pinched are just a few of the tasks they are asked to partake in. Clearly with no experience this is entertaining for the rest of the group. 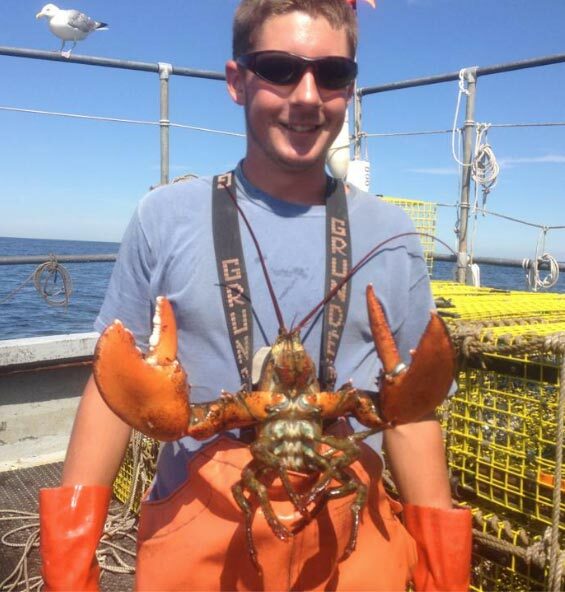 The best part of the trip was ripping on my buddy when we pulled up the lobster traps. He had to work and get the lobsters out of the traps while we all just relaxed and had a beer. When the lines are tied back to the dock Connemara Bay Fishing Charters always hooks up bachelor parties with a local restaurant to cook up their catch. 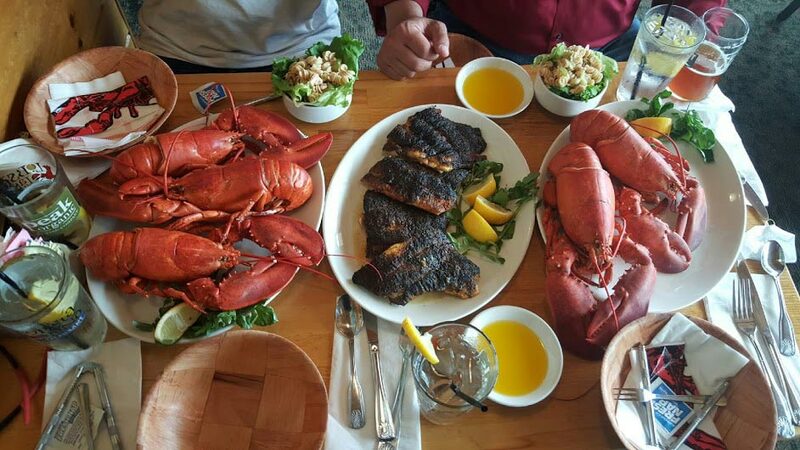 This Catch n Eat Option lets you feast on the fish and lobsters you just caught. Prepared by our friends at Lobsta Land Restaurant you can be assured you are eating the freshest seafood of your lives cooked by the best chefs Gloucester has to offer. Gloucester is a prime location for bachelor parties. With its close proximity to Boston you can get away from the crowds and city for the afternoon and then join the madness that evening. With multiple beaches, great local eateries, and easy access to Boston via train this is a great place to start or spend your entire bachelor party.